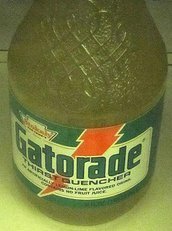 Introduced in 2002, Gatorade Ice was marketed as a lighter flavored Gatorade and came in Strawberry, Lime, Orange, and Watermelon. All of these flavors were colorless and transparent. Ice was re-branded in 2006 as Gatorade Rain and the flavor selections altered. In late 2007, a low-calorie line of Gatorade drinks, named G2, was released. G2 was meant for athletes off the field and the yoga crowd. As of 2015, G2 has been produced in eight flavors: Orange, Fruit Punch, Grape, Lemon-Lime, Tropical blend, Blueberry-Pomegranate, Raspberry Melon, and Glacier Freeze. SymphonyIRI Group named G2 the "top new food product of 2008", noting that the product generated retail sales of $159.1 million in its first full year of production. ^ "Gatorade announces G Series launch in Canada". Canadian Business. August 12, 2010. Retrieved December 3, 2010. ^ "Eli Manning On Good Day NY". My Fox New York. February 4, 2010. Retrieved December 2, 2010. The 2012 Gatorade Duels were a pair of stock car races held on February 23, 2012 at Daytona International Speedway in Daytona Beach, Florida. The 60-lap races, held before a crowd of 80,000, were the qualifying races for the 2012 Daytona 500, the premier event of the 2012 NASCAR Sprint Cup Series. The first race was won by Tony Stewart for the Stewart-Haas Racing team. Dale Earnhardt Jr. finished second and Marcos Ambrose came in third. The second race was won by Matt Kenseth driving for the Roush Fenway Racing team; their first win in the history of the Gatorade Duels. Regan Smith followed in the second position and Jimmie Johnson was third. Carl Edwards led the first race from the start. One lap later, he was overtaken by Stewart. Afterward, Earnhardt moved into the first position, holding it until a caution period on lap nine. Denny Hamlin assumed the lead at the lap 14 and maintained the position until his pit stop 30 laps later. Stewart reclaimed the lead and held it throughout the remaining 16 laps and two further caution periods to win the first Gatorade Duel. There were three cautions and eight lead changes among five different drivers during the course of the first race. During the second race, Greg Biffle was the leader at the start. On the fourth lap, Kenseth passed Biffle to take over the lead. He lost the position when Joey Logano and Kyle Busch moved into the top two places. Biffle passed Kyle Busch by the 29th lap and held it during his pit stop 14 laps later. With three laps remaining in the race, Kenseth attempted a race-winning slingshot and passed Biffle when the final lap started and held it to win the second Gatorade Duel. There were five lead changes among five different drivers and no cautions were shown during the course of the second race. The BI-LO 200 is a discontinued NASCAR Busch Series event held from 1983 to 2004 as an accompanying race to the Southern 500. When the Southern 500 was dropped from the schedule and Darlington's Busch Series schedule was reduced to one race, this race was removed in favor of the O'Reilly Auto Parts Challenge at Texas Motor Speedway because of the Ferko lawsuit. The Capital City Go-Go is an American professional basketball team in the NBA G League and an affiliate of the Washington Wizards of the National Basketball Association. Based in Washington, D.C., the team plays their home games at the St. Elizabeths East Entertainment and Sports Arena. The team became the twenty-third G League team to be owned by an NBA team. Chateau d'Ax was an Italian professional cycling team that existed from 1983 to 1993, when it was succeeded by Team Polti. Among its various sponsors was Chateau d'Ax, an Italian furniture manufacturer. The College Park Skyhawks are an American professional basketball team of the NBA G League and an affiliate of the Atlanta Hawks of the National Basketball Association. The team is based in College Park, Georgia, with home games at Gateway Center at College Park after the franchise played its first two seasons in Erie, Pennsylvania, at the Erie Insurance Arena as the Erie BayHawks. The team became the sixteenth D-League team to be owned by an NBA team. The Gander RV Duel, formerly known as the Twin 125s, is a Monster Energy NASCAR Cup Series preliminary event to the Daytona 500 held annually in February at Daytona International Speedway. It consists of two 150-mile (240 km) races, which both serve as a qualifying race for the Daytona 500. The finishing order in the two 150-mile (240 km) races, held on the Thursday before the Daytona 500, determine the starting lineup for the Daytona 500 held on race day. Qualifying for the Daytona 500 is unique in NASCAR. Only the two front row starters (the pole and "outside pole") are determined by the standard knockout qualifying system. For all other drivers it only determines their starting position in their duel with odd placed cars being entered into the first duel and even placed cars going in the second. After the Top 2 positions are locked in, the next 30 places of starting grid of the Daytona 500 is set by the finishing order of these two races with the top 15 (excluding pole winner and outside pole) making up the next 15 places on the inside and outside lanes respectively. After the Duels are completed the four fastest non-qualifiers by time and finally the six or seven (if no past champion's exemption is needed) highest-earning teams in points not in the race yet advance (also set by time), and the starting grid for the Daytona 500 would then be set. The order is still subject to change if engine regulations are violated. The Gatorade Player of the Year awards are given annually to up and coming athletes high-school student-athletes in the United States. They are given for boys' baseball, boys' football, girls' softball, girls' volleyball, boys' basketball, girls' basketball, boys' cross country, girls' cross country, boys' soccer, girls' soccer, boys' track & field, and girls' track & field.A "State Player of the Year" award is given to the best student-athlete in each of the twelve sports in the District of Columbia and each of the fifty states, where each sport is recognized as an interscholastic sport. Selection is based on three criteria: athletic achievement, academic excellence, and exemplary character (including sportsmanship, and participation in community and other activities). Twelve "National Player of the Year" awards are then given, to the best student-athlete in each of the twelve sports, chosen from the state winners in the respective sport.Finally, one male Athlete of the Year and one female Athlete of the Year are selected from the twelve National Player of the Year recipients. The two winners are voted on by a national panel that includes approximately 400 sports journalists, coaches, and others. The two athletes of the year receive their awards at a special ceremony prior to The ESPY Awards, in Los Angeles, California.The Gatorade Company established these awards in 1986. The selection process is administered by ESPN RISE, which is ESPN's division for high-school sports.Past national winners include Peyton Manning and Emmitt Smith for football, LeBron James and Kobe Bryant for basketball, Allyson Felix for track and field, and Kerri Walsh for volleyball. The Gatorade shower, also known as the Gatorade dunk or the Gatorade bath, is a sports tradition that involves players surreptitiously dumping a cooler full of liquid (most commonly Gatorade mixed with ice) over the head of their coach (or occasionally a high-profile assistant coach, star player, or team owner in professional leagues) following a meaningful win, such as the Super Bowl, World Series or other major sporting event. This includes all levels of play including Little League World Series, high school, college (NCAA) and professional teams (e.g. NBA Finals or Stanley Cup). The Lakeland Magic are an American professional basketball team of the NBA G League announced to begin play for the 2017–18 season as an affiliate of the Orlando Magic of the National Basketball Association (NBA). Based in Lakeland, Florida, the team plays their home games at the RP Funding Center. The franchise previously was based out of Erie, Pennsylvania, and known as the Erie BayHawks. Leon "Bull" Durham (born July 31, 1957) is a former first baseman and outfielder in Major League Baseball who played for 10 seasons. Durham was a longtime minor league hitting coach, and most recently served as the assistant hitting coach for the Detroit Tigers during the 2017 season. Durham played with the St. Louis Cardinals (1980, 1989), Chicago Cubs (1981–1988), and Cincinnati Reds (1988). Durham batted and threw left-handed. The Memphis Hustle are an American professional basketball team of the NBA G League as an affiliate of the Memphis Grizzlies of the National Basketball Association (NBA). Based in the Memphis suburb of Southaven, Mississippi, the team plays their home games at the Landers Center. Powerade is a sports drink manufactured and marketed by The Coca-Cola Company. Its primary competitor is PepsiCo's Gatorade brands. Propel Water is a brand of flavored bottled water that is advertised for having antioxidants and vitamins. It is a beverage product of Gatorade and is marketed by PepsiCo. James Robert Cade (September 26, 1927 – November 27, 2007) was an American physician, university professor, research scientist and inventor. Cade, a native of Texas, earned his bachelor and medical degrees at the University of Texas, and became a professor of medicine and nephrology at the University of Florida. Although Cade engaged in many areas of medical research, he is most widely remembered as the leader of the research team that created the sports drink Gatorade. 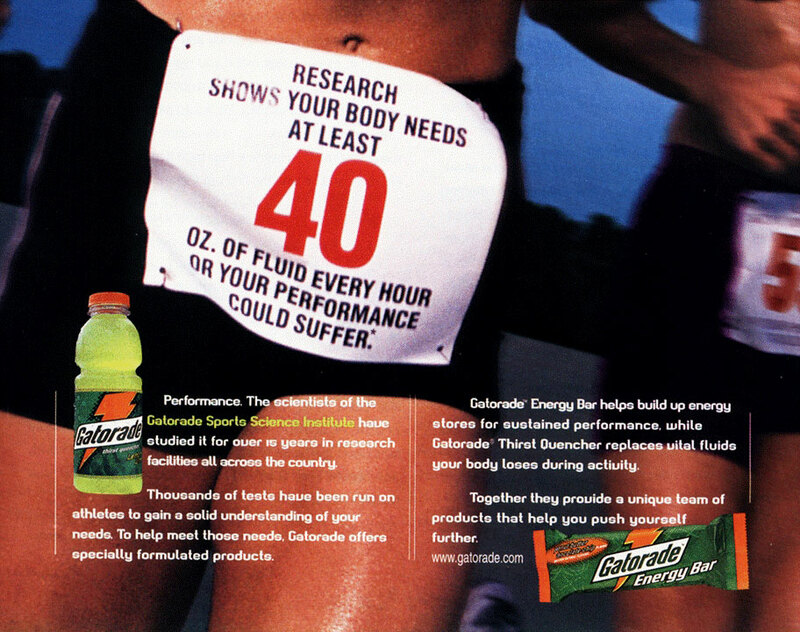 Gatorade would have significant medical applications for treating dehydration in patients, and has generated over $150 million in royalties for the university. In his later years, Cade became a prominent philanthropist, donating significant sums to charities affiliated with the Lutheran Church, creating scholarships and donating freely to the University of Florida and other colleges and universities, and endowing his own charitable foundations. The Wisconsin Herd are an American professional basketball team of the NBA G League as an affiliate of the Milwaukee Bucks of the National Basketball Association (NBA). Based in Oshkosh, Wisconsin, the Herd play their home games at Menominee Nation Arena.